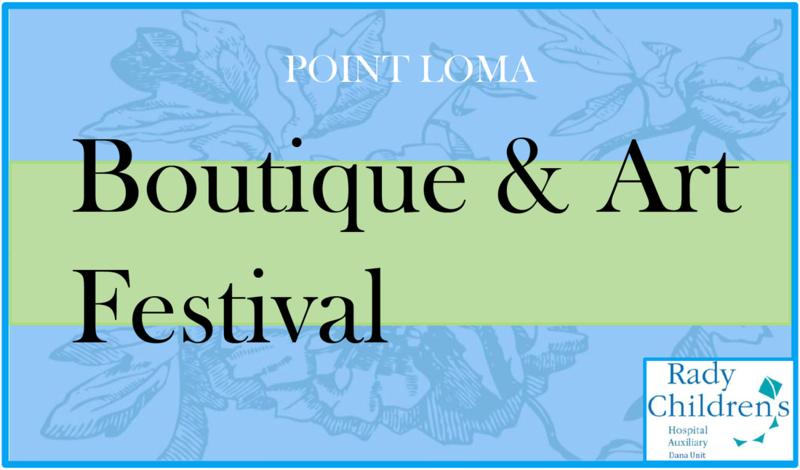 This year, in lieu of the Garden Walk, the Dana Unit Auxiliary is proud to present the Point Loma Boutique & Art Festival on Saturday, April 22, 2017. The Dana Unit's Boutique has been a local spring tradition and a chance to get some unique garden art and accessories. This year's event will feature fine local artists in addition to juried artisans in the categories of garden art and accessories, glass art, jewelry and local crafters. Also going on at the same time will be an exhibit of Icons in Transformation with Russian artist Ludmila Pawlowska. Net proceeds from the Point Loma Boutique & Art Festival to benefit TO BENEFIT THE CRANIOFACIAL CLINIC AT RADY CHILDREN’S HOSPITAL-SAN DIEGO. 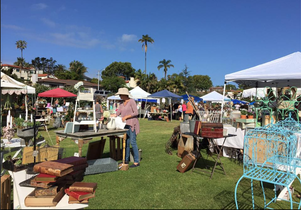 The Point Loma Boutique & Art Festival will be held at All Soul's Church, 1475 Catalina Blvd., at the corner of Chatsworth Blvd. in Point Loma. Welcome to the 15th annual Point Loma Garden Walk which will be held Saturday, April 22, 2017. The Dana Unit of Rady Children's Hospital Auxiliary, a nonprofit organization. 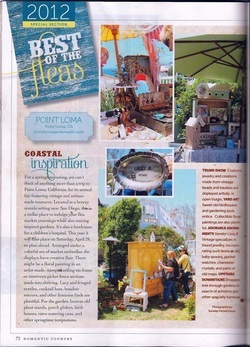 Point Loma Garden Walk's Boutique included in the top flea market venues in the country! Each year the proceeds from this event go to Craniofacial Services at Rady Children's Hospital. The Point Loma Garden Walk features self-guided tours of private residential gardens, home tours and a FANTASTIC garden boutique as part of the event! Sponsored by local businesses and private donations we are proud to showcase homes in the historically rich neighborhoods of Point Loma. Garden Walk ticket sales from this volunteer-managed annual fundraiser provide continued support for the Craniofacial Services at Rady Children's Hospital, San Diego. Dana Unit Auxiliary members work for months before the garden walk creating one-of-a-kind home and garden-themed treasures. Discover and be inspired by their unique blend of local wares and botanical items. This very popular shopping event offers 35 specially selected artisans known for their artistic flair and creativity. These talented vendors will be offering one-of-a-kind finds and unique creations to enhance your home and gardens. 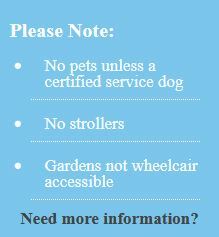 Where and how to buy Point Loma Garden Walk tickets?